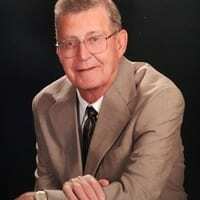 Mr. Fletcher Seabolt, 81, of Rice Mill Road, Hartwell, passed away Tuesday, October, 23, 2018 at Greenville Memorial Hospital. Born on March 2, 1937 in Dahlonega GA, he was the son of the late Arch Caleb Seabolt and Julia Ann Wilkins Seabolt. Mr. Seabolt attended North Georgia Tech. He was owner and operator of the Dairy Queen of Hartwell for 48 years and founded Fletcher’s restaurant in 1996. He grew up as a saw miller, was an avid hunter, fisherman and Ham Radio operator. He also supported many community activities. Fletcher was a US Army veteran having served in Germany. Survivors include his wife: Frances Stover Seabolt; children: Mark Seabolt (Laura) of Hartwell, Ricky Lawson (Charlotte) of Brunswick , Gail Hubbard (Bill) of Hartwell, Beverly Lawson of Hartwell and Ray Dorsey of Hartwell who Fletcher loved as a son; four sisters: Linda Connery (Ron) of Lakewood, FL, Thelma Lance (Jerry) of Cleveland, Callie Copeland of Cornelia, Hilda Fain of Helen; five grandchildren: Wyatt Somers, Evelyn Somers, Ivy Fletcher Seabolt, Wes Lawson, Carly Lawson; one great grandchild Elliot Colsby and numerous nieces and nephews. Mr. Seabolt was preceded in death by one son: Joey Lawson; one brother: J.D. Seabolt and one sister: Gladys Wehunt. A memorial service celebrating Fletcher’s life will be held on Monday, October 29, 2018 at 1:00 p.m. at the Abundant Life Baptist Church with Rev. Ken Brewer, Rev. Mike Hardy and Dr. Hugh Kirby officiating. The family will receive friends Sunday afternoon from 2:30 to 4:30 p.m. at the Strickland Funeral Home of Hartwell. In lieu of flowers, memorials may be made to the Abundant Life Baptist Church Building Fund, PO Box 237, Hartwell Ga 30643. The Strickland Funeral Home and Cremation Services of Hartwell is in charge of all arrangements. On-line condolences can be sent to the family at www.stricklandfh.com. Announcement courtesy of Barrett Funeral Home, Cleveland, Georgia.